The PIVOT handsets are your best choice for the retail environment, healthcare, or industrial businesses that require high-grade communication tools to keep things moving efficiently. The Pivot 87-Series allows users to leverage current WiFi infrastructure with voice and data. 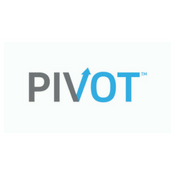 The Pivot Series phones can be integrated into an analog, digital or IP PBX (SIP).